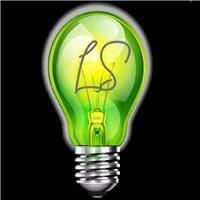 London Surrey Electrical Services - Electrician based in Cheam, Surrey . Welcome to London Surrey Electrical Services. We are an electrical services company serving the domestic, retail & commercial sectors. It is our philosophy to provide the highest level of craftsmanship and care when conducting our electrical work and installations. LSE carry out work all over London and the surrounding counties and our electricians have many years of experience as fully qualified domestic installers. We cover all electrical services, from full rewires in large commercial properties, to changing a simple socket or switch. London Surrey Electrical Services are proud members of the NICEIC Approved Contractors Scheme, which means that our work and installations are checked and approved against the highest industry standards and meet all current wiring and building regulations. We are fully insured and covered under public liability insurance for no less than £5 million. We will always carry out our work with the utmost reliability, professionalism and diligence.